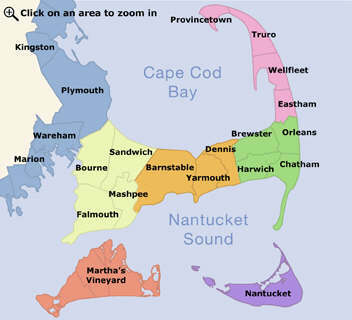 "SeaSalt Charters offers private Whale Watches and Fishing trips out of Provincetown, MA., in Cape Cod. SeaSalt Charters is owned and operated by the Avellar family, originators of Whale Watching on the East Coast. Come experience the great Whales of Cape Cod, from an extraordinary vantage point, with just you and the ones you are close to." Discover the great whales of the North Atlantic during a four hour Provincetown Whale Watching adventure. Marine mammal sightings include: Humpback, Finback, Minke, Right and Pilot Whales. These majestic creatures can be up to 70 feet long and weigh 65 tons. As we depart MacMillan Wharf, your naturalist, a professional marine biologist, provides... show more Discover the great whales of the North Atlantic during a four hour Provincetown Whale Watching adventure. Marine mammal sightings include: Humpback, Finback, Minke, Right and Pilot Whales. These majestic creatures can be up to 70 feet long and weigh 65 tons. As we depart MacMillan Wharf, your naturalist, a professional marine biologist, provides an informative description of the whales and wildlife as well as commentary on the day’s activities. Enjoy the cruise from the open decks or lounge in our climate controlled cabin with full galley service. Departing from Plymouth Harbor, our whale excursion will take you to Stellwagen Bank, a marine sanctuary and one of the primary feeding grounds for whales, dolphins, and porpoises. Our experienced naturalists will guide you on this educational, exciting trip. It’s just not a whale watch, but a marine wildlife cruise! Highlight your Cape Cod vacation with an unforgettable cruise aboard the Mid-Cape's only Whale Watch, sailing mid-April through October from picturesque Barnstable Harbor. Our jet-powered, state of the art vessel carries you to Stellwagen Bank National Marine Sanctuary, the seasonal home to Humpback, Finback, Minke whales and several dolphin... show more Highlight your Cape Cod vacation with an unforgettable cruise aboard the Mid-Cape's only Whale Watch, sailing mid-April through October from picturesque Barnstable Harbor. Our jet-powered, state of the art vessel carries you to Stellwagen Bank National Marine Sanctuary, the seasonal home to Humpback, Finback, Minke whales and several dolphin species. Since 1981, Hyannis Whale Watcher Cruises has been offering whale watch adventures as a platform for conservation and education to people of all ages from around the world. Visit our website for cruise schedule and online reservations and be sure to check out our gift shop.